Are you expecting him to put a ring on it? If you can sense your relationship moving towards the next level, you know what’s coming next. He is going to pop the question, and before you know it, you guys will be engaged. Yay, let’s drink to that, but first, let’s look at something that gives you a happy high like nothing does – the engagement ring. 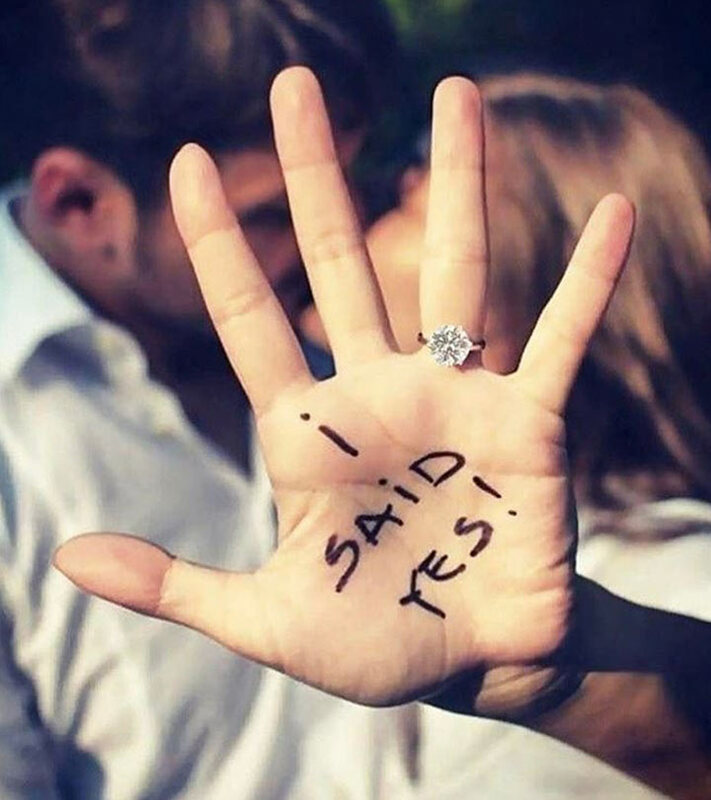 Getting engaged to your soulmate is going to be one of the most important moments of your life. 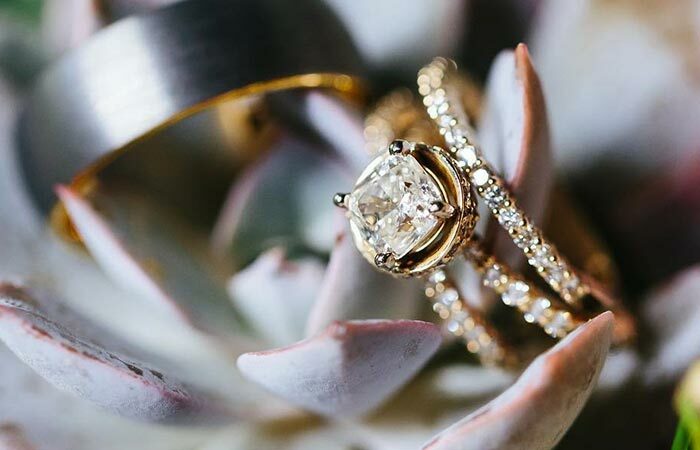 So, let’s get dreamy and be lost in the world of beautiful rings and look at some of the most unique engagement rings for ideas. 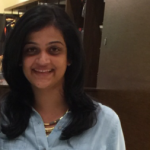 So, here’s the dream list – check it out! A ring that tops all charts! What better than a crown for the queen? After all, we all have every right to feel like one and live happily ever after with our king. You can customize this with sapphires and other stones if you like or if you think your fiance might like it, but it looks great just as it is too. 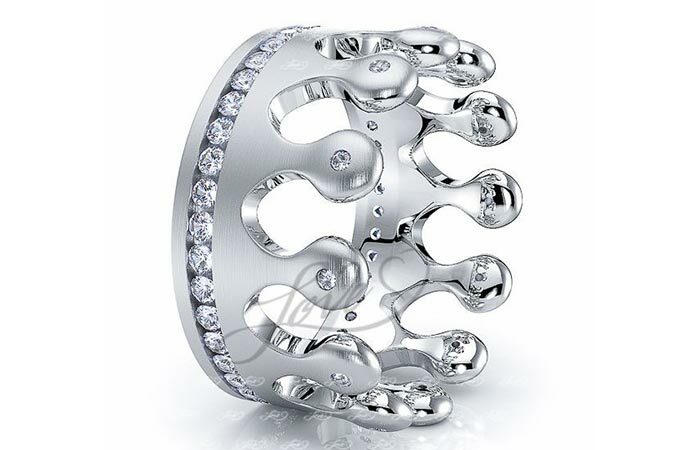 The encrusted stone rim and the diamonds accentuate the accents of the crown. It is genuinely breathtaking, unique, and one of its kind. Cannot decide if you want a big rock or a wedding band with diamonds? Don’t settle for either. Instead, go for something that is a combination of both and give her (or yourself) the best of both the worlds. The big square shaped diamond sits at the center in all its glory, while the two circular bands complement it, adding grandeur. As if that was not enough, the band attached takes it to the next level and breaks all stereotypes we knew. Add a little color and let that speak all about your ringer. 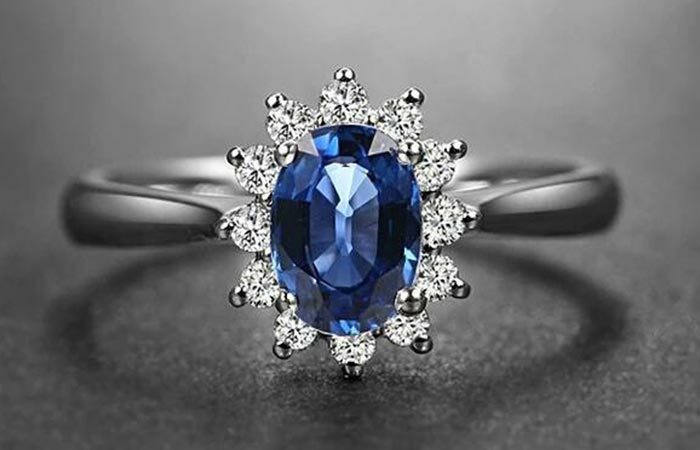 An engagement ring that is in the shape of a gorgeous flower (with a blue sapphire that stands out at the center and little diamonds for the petals) is something you will treasure for eternity. It’s no news to us that rose gold has practically taken over and created waves in the fashion industry, especially women’s jewelry. Taking a cue from that is this ring with a rose gold band, topped with an opal. It is unlike anything we have seen. The opal cadence finish will set you and the ring apart everywhere you go – for the rest of your lives. Move a little away from the idea of a round shape for an engagement ring, and there’s a new world in itself. 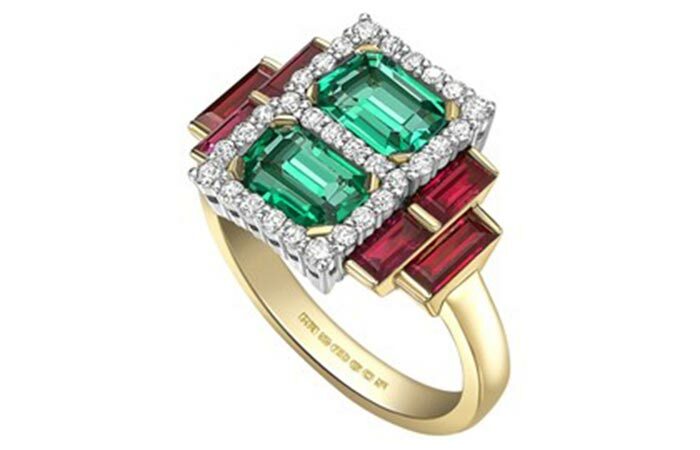 Like this unique geometrically designed diamond ring that is shining its life away. 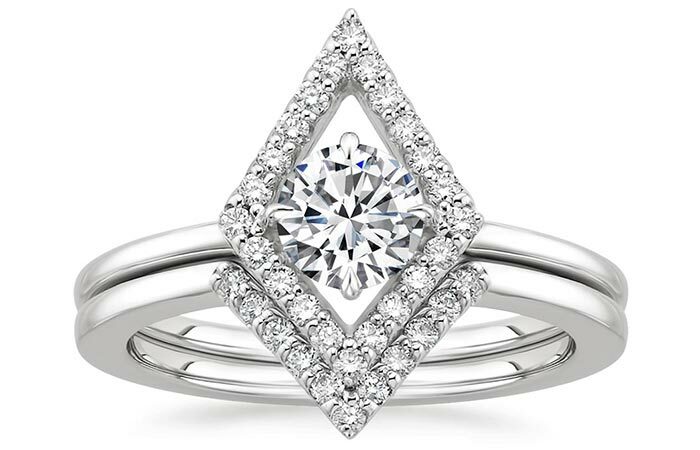 The smaller diamond studded V claws perfectly into the bigger triangle and the big stone that takes the throne – all of this with a contoured band. Breathtaking is the only word that comes to my mind. Have you seen something as unique than this? I haven’t! 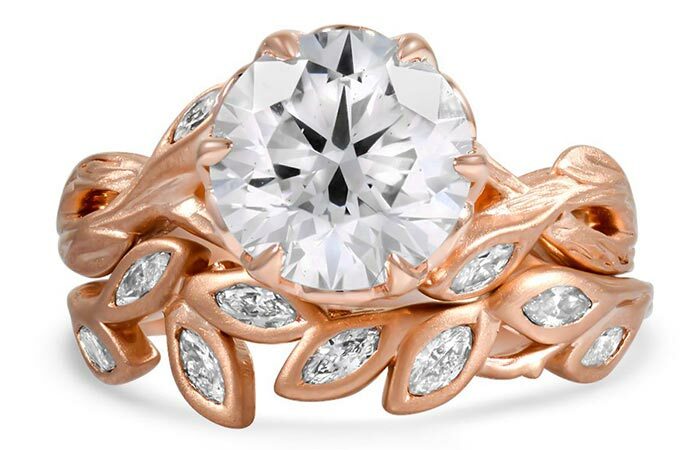 The rose gold band that takes the shape of the leaf, and all of them embellished with diamonds is truly inspired by nature and is like a breath of fresh air. Put a little tiara on her, literally, and you’ve got her for life. I mean, if you can get a ring like this for her, it just shows how much you value her. That aside, where do we start with the ring and what do we talk about? Do we talk about the big grey diamond that is stealing the limelight? Or the tiara that is giving tough competition to it? Or, maybe, the contoured platinum bands and with their diamond detailing, without which the ring cannot be complete? 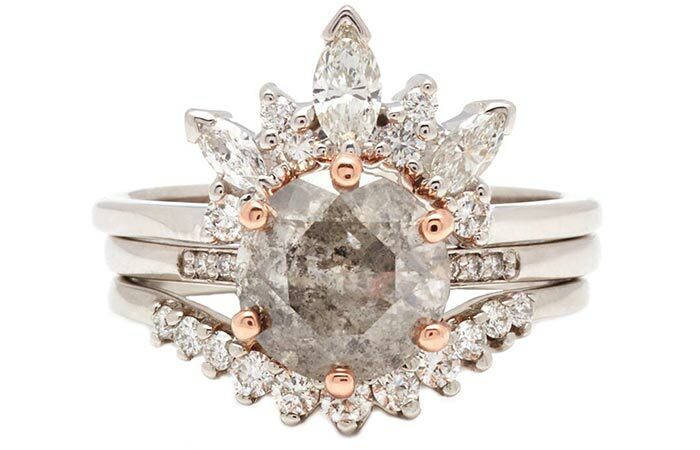 The speck of rose gold at the tips is giving a vintage vibe to this engagement ring. You decide, but whatever it is, this has to make it to the final list. 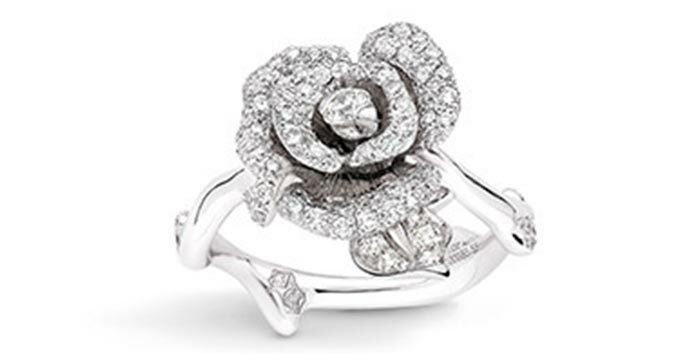 Roses and diamonds are gateways to a woman’s heart. And, what if you practically bring them together? Is there anything that can be more unique and thoughtful than this one? I mean it when I say that I cannot think of any! Unique can be a lot of ways, and sometimes by bringing in different elements together. For example, this unique arrangement of some of the most beautiful colors that are all things celebratory. What better than to combine them with your engagement ring? Who would have thought that hexagon rings can look this gorgeous and feminine? 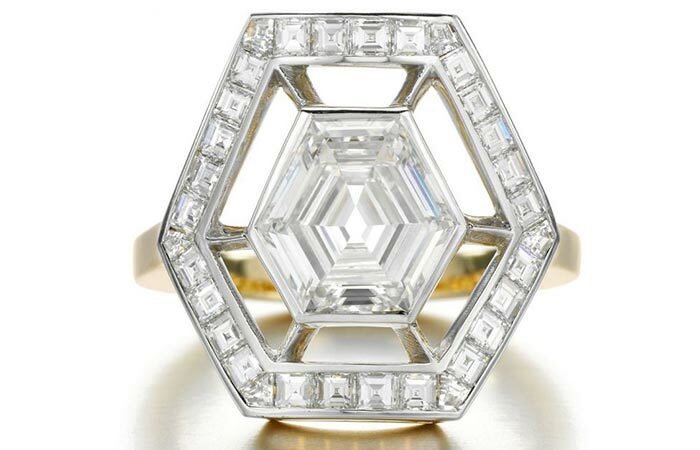 The hexagon shaped ring encrusted with diamonds all over, with a big rock at the center, is unique in the most real sense. Pear or crown shaped – however you want to see this, this is a ring you cannot afford not to consider. While the diamonds sit gracefully all around the crown, it the big red stone that is the show-stopper for this one. And it will be, regardless of whatever else you wear on your body. All said and done, you cannot deny the fact that round rings are classic and timeless. If your heart still flutters for something evergreen, yet you are looking for a unique element to marry it all, you have found your pick. The twisted style band paved with diamonds all the way, and the rose gold detailing to lock them, lend a contemporary style to the ring. 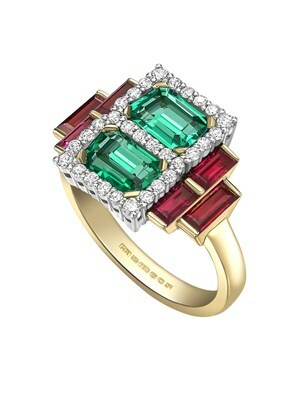 The big diamond keeps the traditional element intact, which is what makes this a unique choice. I know, you cannot choose just one from this list! But, keep it handy, and throw some hints around so that it reaches HIM – you know what I mean? I mean, why not? 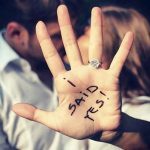 Which one from this list of unique engagement rings is your favorite – or did we miss something? Let us know by dropping a comment in the section below.